Dated back to 1950s, Hock Kee Birds Nest Drink (福记燕窝水) was started by Boon Leng's grandfather on a push cart travelling around Singapore. 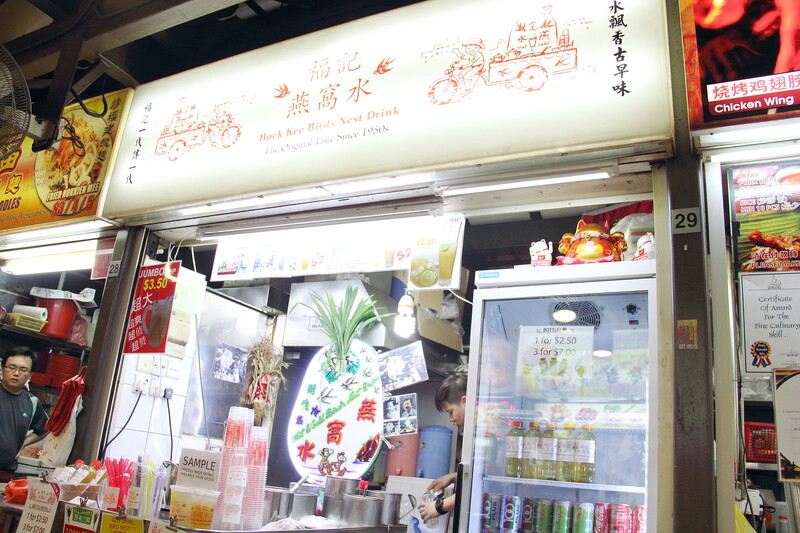 Boon Leng, now 26 years old is the 3rd generation taking over the business from his father has found a permanent stall for the traditional drink at Chomp Chomp Food Centre instead of the hassle of moving from one Pasar Malam to another. Not known to many younger generation, a cup of birds nest drink is not just sugar water with agar agar. A cup of bird nest drink may look simple but it actually requires a lot of time, preparation and hard work behind the scene. 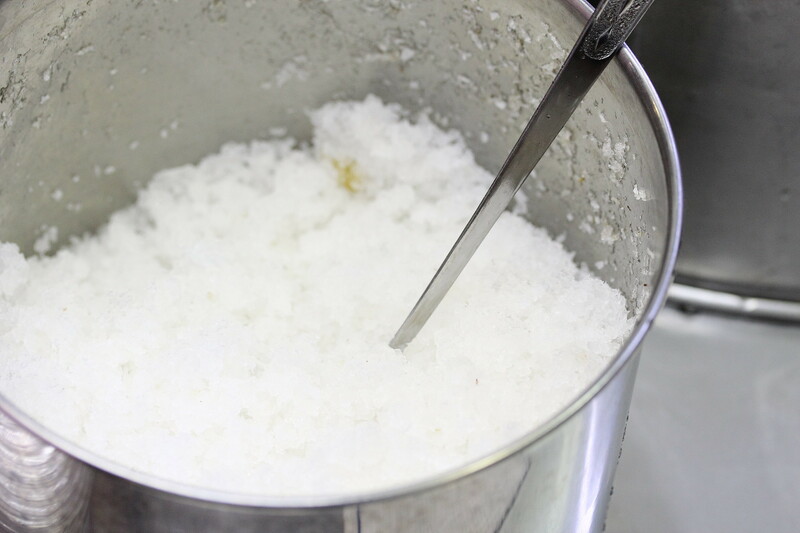 The water are all 100% daily boiled to fragrance and the bird nest (Cui Yan) requires detailed picking and cleansing before serving each cup to customers. 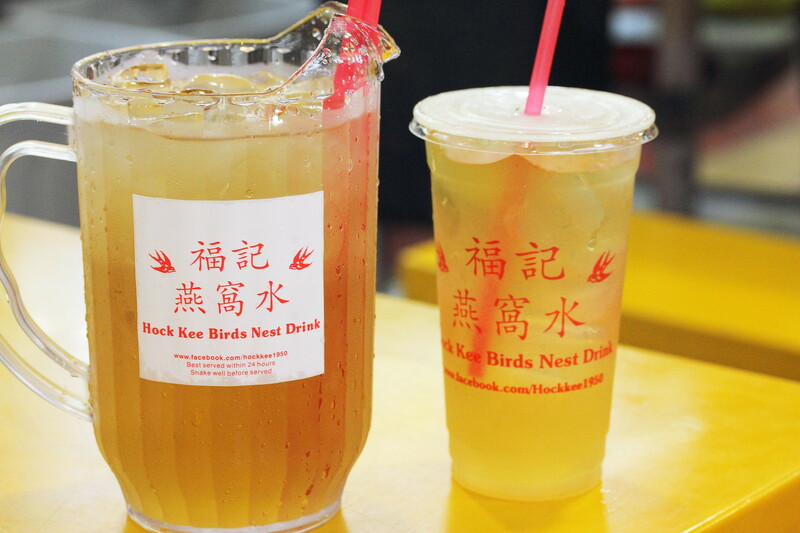 At Hock Kee Birds Nest Drink, you can get the birds nest drink served in regular size cup ($2) and jumbo size cup ($3.50). The fragrant drink boiled with pandan leaves is very refreshing and cooling. After all the yummy hawker food at Chomp Chomp food centre, this will be the perfect drink to wash down all the greasiness or cooling oneself from the heat. 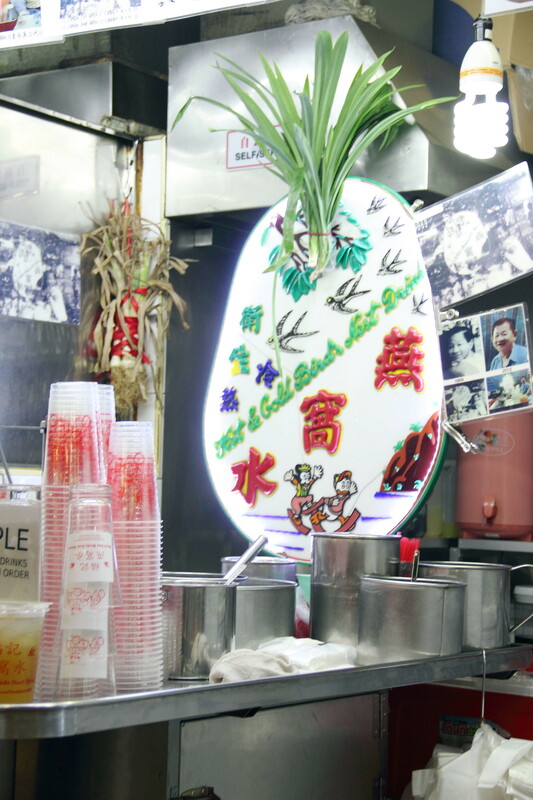 If you are not into bird nest, the flagship stall has also introduced Ai Yu Drink at Chomp Chomp food centre. 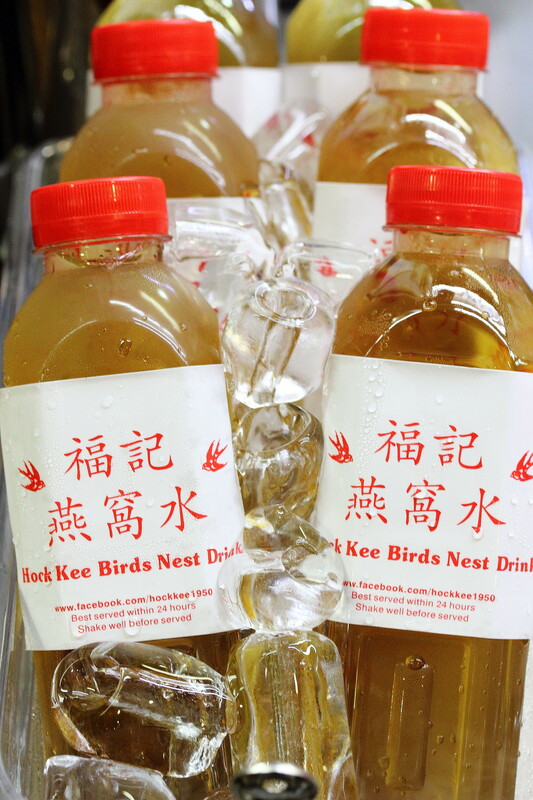 For those that wanted to packet it back home to have the birds nest drink anytime of the day, Hock Kee Birds Nest Drink also sells them in bottle at $2.50 each. My little tip is to get the bottled one as it is more concentrated without the ice. Hock Kee Birds Nest Drink (福记燕窝水) will be taking part in this year Ultimate Hawker Fest 2014 selling their Birds Nest Drink and Ai Yu Drink at the fund raising event. Do look out for Hock Kee Birds Nest Drink with the swallow bird signage.